Personnel Visions (Pty) Ltd was founded in 1995 and today has 4 wholly owned subsidiary companies within the Group and multiple divisions. Visions Consulting is a business management consultancy assisting organisations with strategic input to and implementation of Student Administration Systems, Enterprise Resource Planning (ERP), Business Intelligence, HCM and Payroll solutions and related technologies. 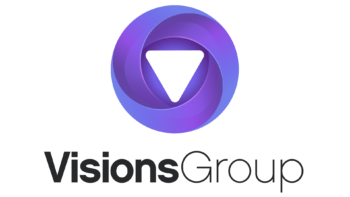 Visions Consulting, through their subsidiary Visions UK Consulting based in the UK, provides consulting services within the UK . Services are identical to those provided by Visions Consulting. Whilst always attempting to recruit and develop UK resources, Visions is also pleased to confirm their Tier 2 Sponsorship from the UKBA for any skilled IT resources that we need to bring in from our pool of international resources from time to time. Visions Consulting, through their subsidiary Visions Consulting Services based in the Isle of Man, provides consulting services to our European business. Once again, services are identical to those provided by Visions Consulting. Visions BI is a division of Visions Consulting concentrating on the implementation of Business Intelligence solutions. At Visions our belief is that “Business Intelligence is everywhere”. Visions BI provides expert services and business solutions in the business intelligence, systems integration and enterprise performance management fields. We perform end-to-end projects, and provides specialised consulting and add-on services to both local and International customers in these fields. Visions Consulting, through their subsidiary Amafu Solutions, provide the full range of cloud based SaaS (software as a service) solutions for HCM and Payroll including business process outsourcing. Through our subsidiary company, Visions Amafu Solutions we offer flexible and cost effective HR and Payroll solutions for small and medium enterprises using the SaaS and Cloud model. Our offerings range from a hosting service through to a managed service offering as well as ad hoc support. We work primarily with two products. The UniQue payroll solution and PSIberWORKS. For UniQue, we currently provide expertise in the writing and maintenance of the rule set and legislative requirements for Africa. This service is provided for many customers, including some of the larger PeopleSoft customers in South Africa as well as multi-nationals operating across Africa. For PSIberWORKS we have multinational customers who have outsourced their entire HR and Payroll function to Amafu to manage. From data capture, validation and processing, Amafu manages the entire process from end to end. Visions Amafu Solutions offers HR and Payroll Services, focusing on the PSIber range of HR and payroll software. Visions Consulting, through our subsidiary, OrangeNow, is a distributor of leading Enterprise Information Management (EIM) products including Perceptive Content and Onbase, both owned by Hyland Software, as well as being a reseller of Kofax’s Digital Transformation technology. Having implemented EIM solutions across a range of customer verticals since 2005, our team is well placed to help leverage the benefits of both departmental and enterprise wide digitisation & process automation. OrangeNow also assists customers to automate and improve their customer (digital) application and onboarding experiences. Kofax’s “TotalAgility” platform (KTA) offers real-time mobile engagement, self-service anywhere at any time, and Omni channel digital interactions. Kofax’s Robotic Process Automation (RPA) Solution called “Kapow” removes the manual work performed by humans, known as “Swivel Chair Automation”. OrangeNow partners with HighQ providing a range of solutions to help you solve real business problems. Their products provide a powerful suite of solutions to enable internal and external collaboration, client engagement and help manage complex transactions and processes.